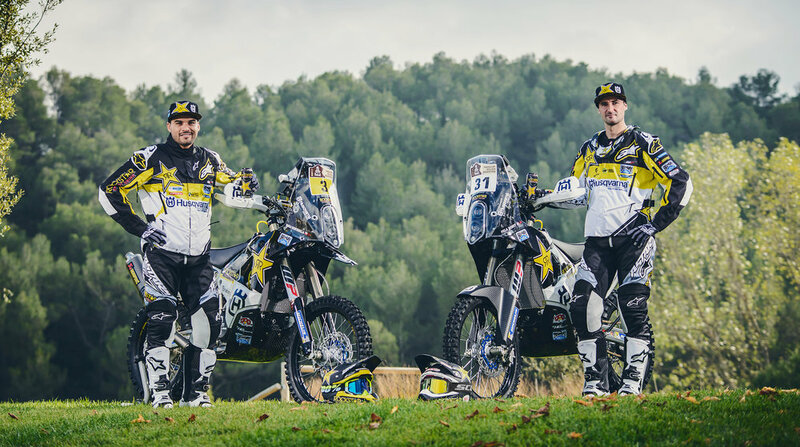 Rockstar Energy Husqvarna Factory Racing Team riders Pablo Quintanilla and Pela Renet are ready to take on the 39th running of the Dakar Rally – the world’s most iconic rally raid event, which kicks of in Asunción, Paraguay on January 2. Together with experienced former racer turned rider consultant Ruben Faria, Quintanilla and Renet will take on what is expected to be one of the toughest Dakar Rallies in many years. Faced with close to two weeks of competition aboard their FR 450 machines, both riders will have to deal with almost one-week of racing at high altitude while tackling the varied and demanding South American terrain. For Quintanilla this year’s Dakar will start with the Chilean being the recently crowned FIM Cross Countries World Champion. 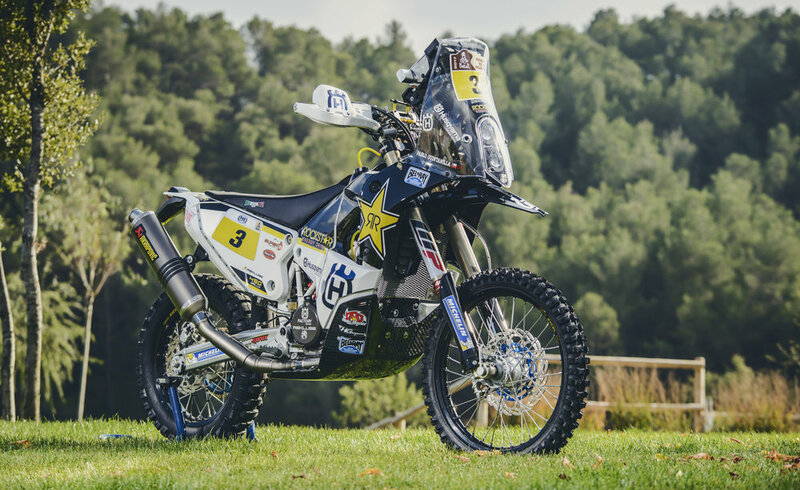 Third in the 2016 edition of the Dakar, in securing his hard earned world championship title he has shown that he will be one of the leading riders during this year’s Dakar. Fast, experienced and with his fitness and confidence at an all time high, Quintanilla is focused on a third consecutive podium result while also hopeful of improving on his 2016 third place result. Ready to tackle his second Dakar, French rider Pela Renet will again be Quintanilla’s teammate. Switching to rally at the end of 2015 the former Enduro World Champion has faced a steep learning curve. Despite crashing heavily during Dakar 2016, Renet has remained focused on his goal of adapting to the many challenges rally racing presents and heads into Dakar 2017 determined to gain further experience and reach the finish. The Rockstar Energy Husqvarna Factory Racing Team heads into Dakar 2017 with another important asset – former racer Ruben Faria. Now retired from full-time competition, Faria will offer invaluable tactical advice and support to the two Husqvarna riders. 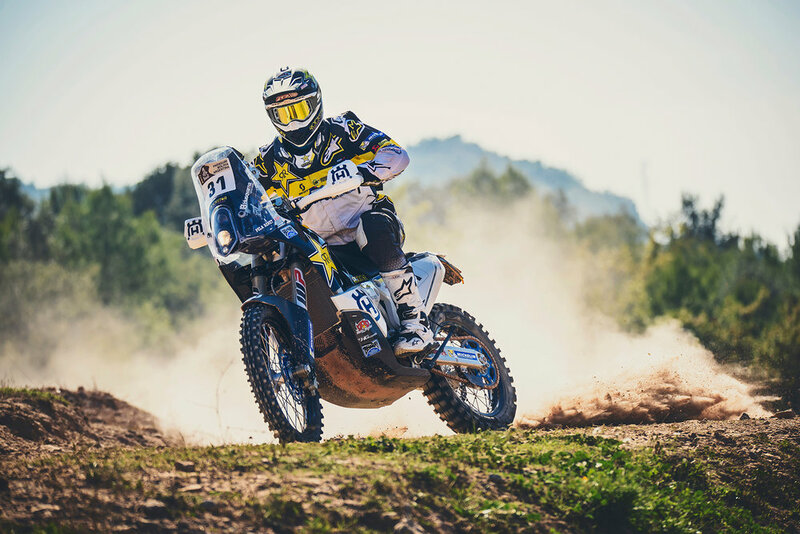 As a regular Dakar starter since 2006 the Portuguese rally specialist will be on hand to back Quintanilla and Renet throughout the 39th edition of the event. The world’s toughest offroad event gets underway on January 2, 2017 when 146 riders in the motorcycle category set out from Asunción to welcome Paraguay as the 29th country to be included in the Dakar program. The 12 stages, which take riders on to Bolivia and Argentina, will offer brutal new challenges. These include almost a week at high altitude – six stages over 3,000-meters in the early part of the competition and what organizers say will be very special new demands in navigational technique. Quintanilla and Renet will also encounter every possible weather condition from freezing temperatures to a blistering 50°C, and vastly different, and very challenging terrain – from dunes to plains and grasslands, river crossings, rocks and the daunting Andes mountains. The twelve stages cover nearly 9,000 km, including more than 4,000 km of special timed stages. There will be one marathon stage where riders will fend for themselves with no mechanical or team support at the overnight bivouac. During the 12 stages there will be just one rest day, in La Paz, before the rally concludes in Buenos Aires on January 14.